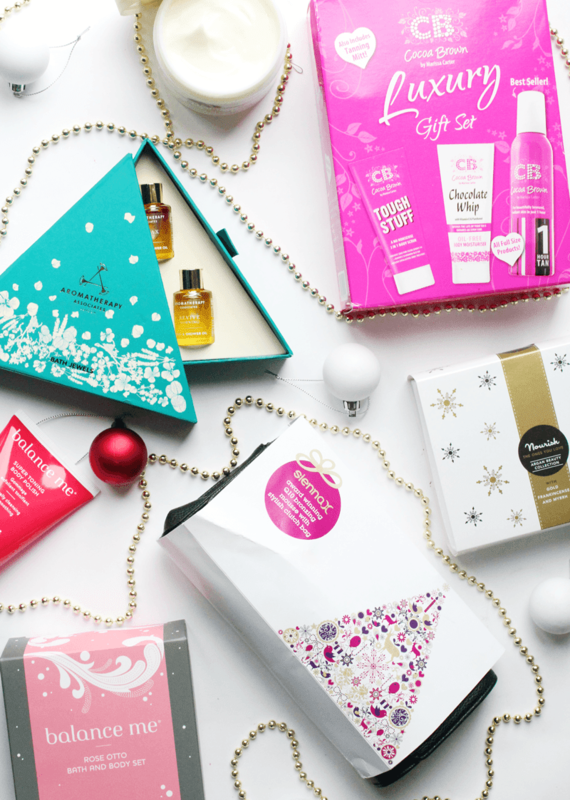 Here’s the third installment of my gift guides and today I’m talking about bath and body products. Who doesn’t love a good pamper? Whether that’s a soak in the bath, slathering on some body cream, getting your tan on or just looking after your skin. There’s something in this guide for everything, so I hope you like it! Starting with bath products, how beautiful are the Aromatheraphy Associates Bath Jewels? I adore the presentation of these and they’re such a great luxe looking gift for someone. Inside, you get three bath oils in different scents to uplift you or help you unwind – bliss! I also love the Balance Me Bath and Body Set too, as it Rose Otto scent is beautiful and you get two great sized products (a body wash and body cream) plus I also threw their new(ish) release, the Balance Me Super Toning Body Polish in there as the three would make for a dreamy present! Finally in the body section, the Origins Ginger Soufflé Whipped Body Cream is my new favorite thing. It’s a rich body cream that sinks in fast and smells divine. I honestly can’t even tell you how much I adore it! They have a whole ginger set as part of their Christmas releases that I wouldn’t say no to either. 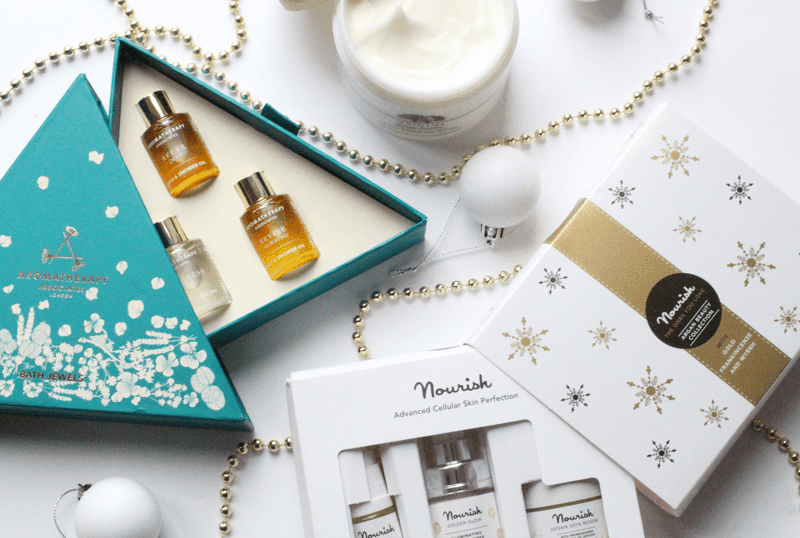 As for skincare, the Nourish Argan Beauty Collection is a wonderfully packaged gem which contains three products to try out. I love how festive looking it is and it’s a great introduction to the brand! Definitely one to look at for someone who loves their skincare! Finally, I’ve included two tanning sets in here as I do love my tan these days (anything to stop me looking like death warmed up). First is the Cocoa Brown Tan Luxury Gift Set (on sale for £10! ), which includes the tan itself plus a Tough Stuff scrub and Chocolate Whip body lotion! A perfect all round kit for a tan lover (or newbie!). Finally, there’s the Sienna X Q10 Bronzing Mousse which comes in it’s own clutch bag. I love the presentation of this and think it would make a lovely gift – I can’t wait to try it out myself (as if I’d give this baby away haha). Anything you like in this gift guide? Make sure you enter my £660+ huge Christmas beauty giveaway! – there’s only a week left!